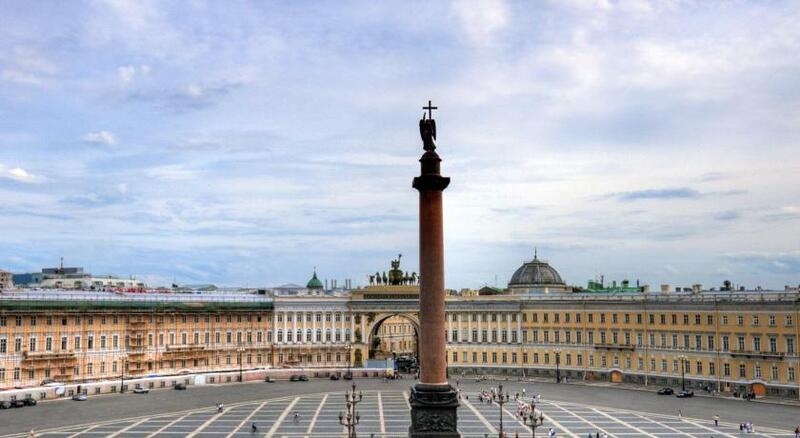 Lock in a great price for Nevsky Grand Hotel – rated 8.1 by recent guests! The hotel location is good . night staff not so bad but not so good. the room a little cool. Was given my favorite room near the reception. Had a small refrigerator, a work table, safe for valuables, and two beds so that I could keep my suitcase open on the other bed for long periods during the day. Nice big room, good value, nice variety of things to eat for breakfast. Staff was very nice! 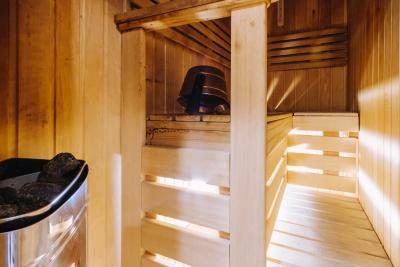 The sauna was also a good addition even though it's small. The bed was a highlight, slept very well! In general a good choice, and while it's not the best breakfast, there are so many things that you'll find something good to get your stomach full. Would recommend this place! Clean, location is great!! Its right on the main street. The location is excellent!!! You are just a few feet away from everything! A super location. Hotel was clean, up to date and better than expected. Not anything wrong at all..in the best part of town. Almost cancelled and glad I didn’t.. 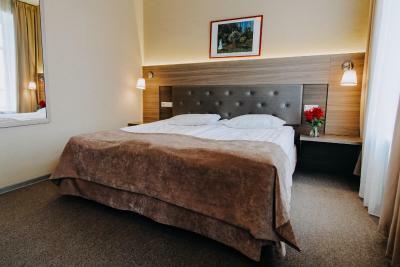 The hotel is almost in the city center, walking distance to tourist attraction, restaurant, shopping places. Hotel staffs are nice and helpful. Breakfast delivered to the room was fantastic. And we were charmed by Danil at the front desk. We would go back. In fact, we have! 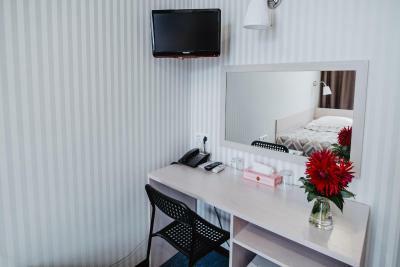 Nevsky Grand Hotel This rating is a reflection of how the property compares to the industry standard when it comes to price, facilities and services available. It's based on a self-evaluation by the property. Use this rating to help choose your stay! 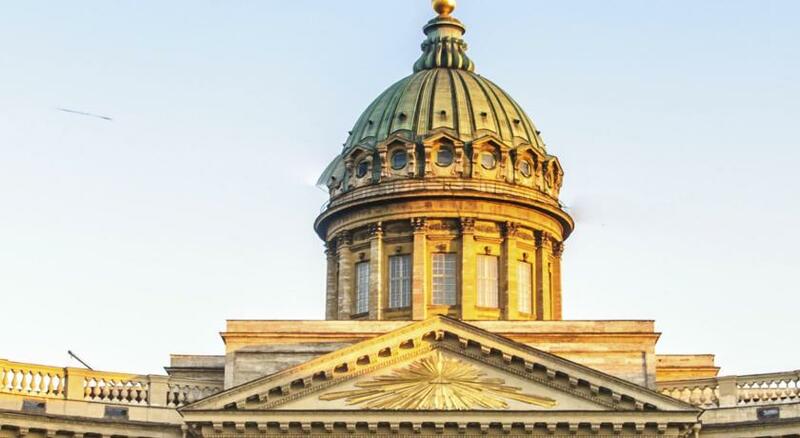 This hotel is located in St Petersburg’s Golden Triangle, a 5-minute walk from the Hermitage, Kazan Cathedral and the Church of our Savior on Spilled Blood. 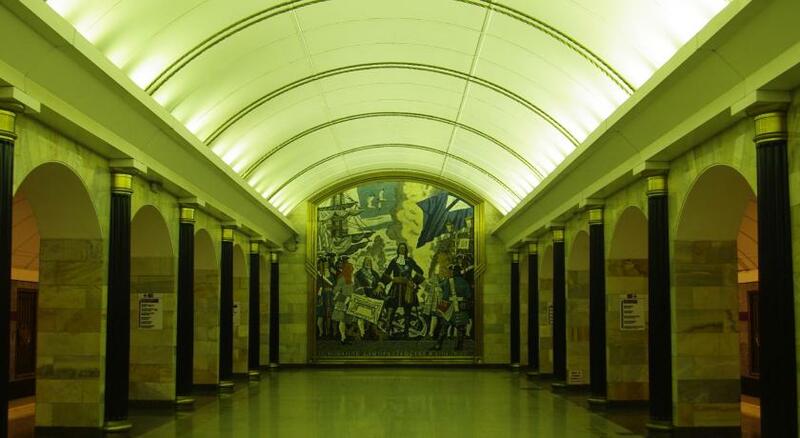 Nevsky Prospekt and Admiralteyskaya Metro Stations are a 5-minute walk from the hotel. Free WiFi is available in all rooms. The Nevsky Grand Hotel offers a hot buffet breakfast. The hotel can provide hire cars with drivers, experienced interpreters in many languages and flight and rail bookings. 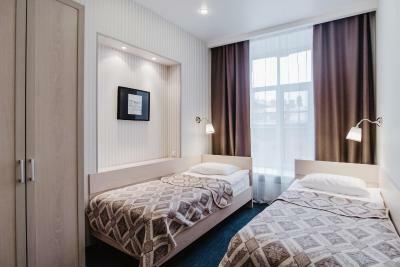 The hotel is less than a minute walk from Nevsky Prospekt. 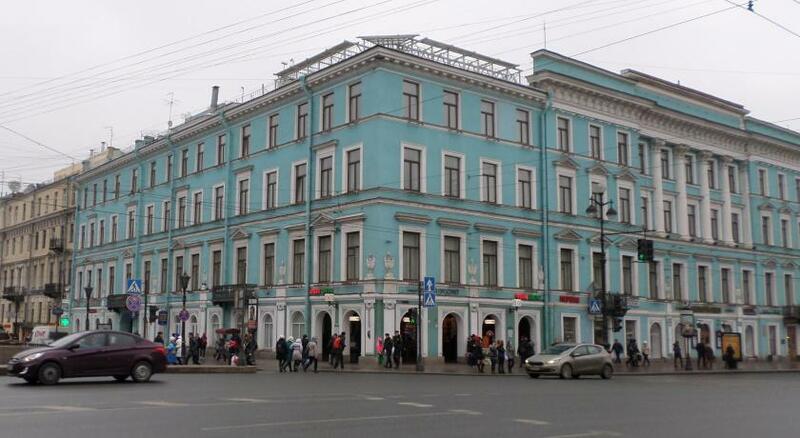 When would you like to stay at Nevsky Grand Hotel? Features a seating area with a sofa, slippers and a fridge. All suites come with a tea set, which includes a bottle of water, tea, coffee, cream and sugar). 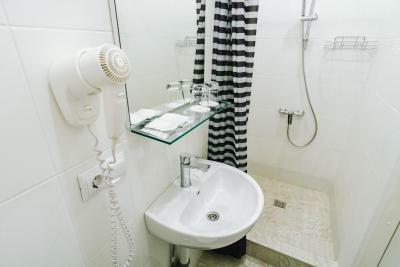 The bathroom comes with a bathrobe, slippers and toiletries which include a toothbrush, comb, sewing set and polish brush. There is a Finnish sauna, and some suites have a spa bath. 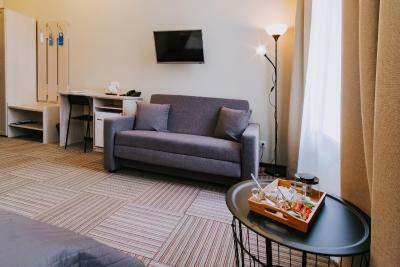 This air-conditioned room features a fridge and a flat-screen TV with satellite channels. A tea set, including tea, coffee, cream and sugar is offered. The bathroom is equipped with a bath or shower. Toiletries and slippers are provided by the property. 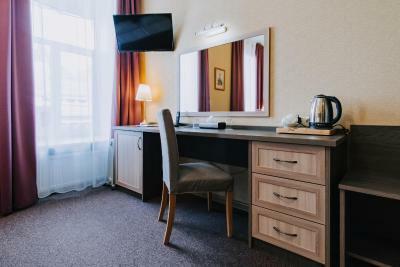 Hotel surroundings – This neighborhood is a great choice for travelers interested in museums, culture and architecture – Check location Excellent location – show map Guests loved walking around the neighborhood! House Rules Nevsky Grand Hotel takes special requests – add in the next step! Any additional older children or adults are charged RUB 900 per night for extra beds. Nevsky Grand Hotel accepts these cards and reserves the right to temporarily hold an amount prior to arrival. Please use the Special Requests box to indicate whether you would like an electric kettle or a mini-fridge in your room. Subject to availability. The property accepts Union card, MIR card and PayPal payments. The economy room we were allocated was clean but looked like a single room that had crammed a double bed into it. My husband slept with his head on the window sill as the bed head only went across half the bed. When you sat on the toilet your feet went into the shower recess. We complained & they gave us another room the next night. The elevator was slow. The breakfast was not bad, but it could be better: less sugar, more fruit and vegetables. Location. The room was clean and quiet. Me and my son most of all liked friednly and welcoming staff even though we arrived late at night. The rooms are small but very cosy and even resemble those in a French hotel. The location is perfect and with excellent logistics. Bathtub was a bit small, but it was not a problem because I am a shower person. I wrongly operated the safety box, they helped me so fast and their attitude are so good. Other staffs like Concierge officer and front desk are all very nice and professional.